We are taking registrations for Summer preschool.The program runs June 10 – July 19th. Enroll for any week or for all six weeks in our 2-, 3- or 5-day programs! Would you like to visit? Please call the North Campus office to schedule. Welcome to the Preucil Preschool! We are a play-based fine arts preschool, inspired by the Reggio Approach and the Suzuki Method. We focus on creativity, imagination and exploration. We offer 2-day (T/Th), 3-day (M/W/F), and 5-day (M-F) options. We hold morning (9:00 – 1:00), afternoon (12:30 – 3:30), and full day (9:00 – 3:30) classes. Class sizes number between 16 and 19. Each class has a lead teacher and one or two aides, an available full-time art teacher and a daily music class taught by a music teacher. The Academic Session meets from the end of August to the end of May. The Summer Session meets for 6 weeks, mid-June to late July. Any child between the ages of three and five is eligible to enroll. To schedule a visit, please contact the North Campus office. The best times for visits are Wednesday or Thursday mornings at 9:30. One day’s notice is appreciated to avoid times when the Preschool has special activities scheduled. Preucil Preschool was lovingly created 43 years ago by Doris Preucil. 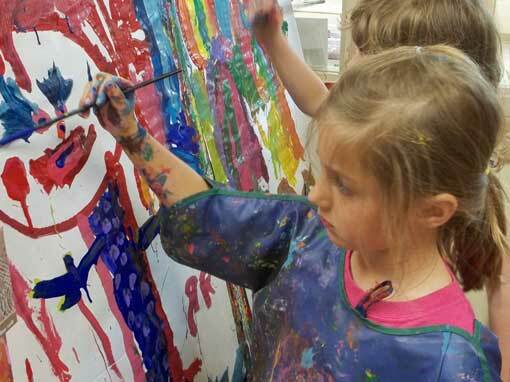 The preschool began as a way to spread the joy of music to children and has grown into a school that celebrates not only music, but all forms of art. It truly is a magical place where learning and creativity collide. Please share this video with your friends and help us spread the magic that is Preucil Preschool. Inclement Weather Policy: Preschool will close if the public schools close. If the public schools delay start or dismiss early, Preschool will delay start or Extended Day will dismiss early by the same amount. Our Afternoon Class has been busy! Check out their photography project! We still have Afternoon openings for 2019-2020. Call for more information!